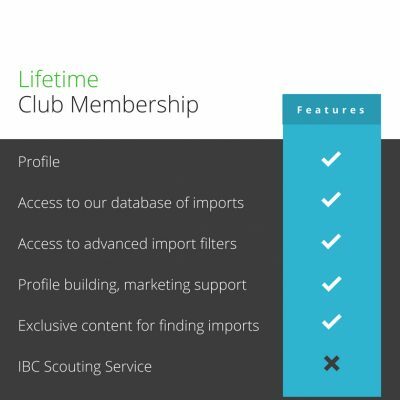 Searching for an import or imports? 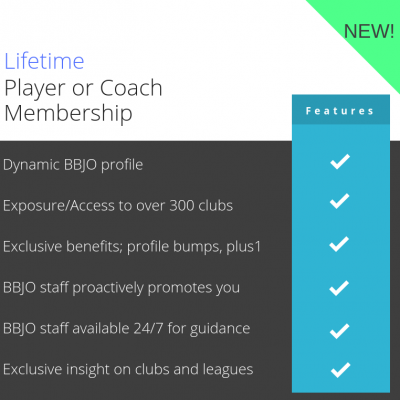 Sign up for your free club profile here to promote your club to our members and to access their contact info. Anyone who has spent time recruiting the next import for their club knows that it is not an easy process. They also know how important it is that the the import does not only meet the skill level they desire, but they also must have the personality and character to match! Over the years we have seen a lot of clubs find top notch, high quality imports who made a major impact on their team and their organization as a whole. We have also seen a few imports who turned out to be duds, leaving clubs feeling like their investment was a complete waste. 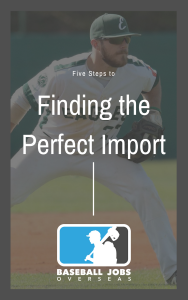 In this guide, we combine the feedback from clubs that we have received over the years with our own experience for the purpose of helping teams find the perfect import year-after-year. To receive a copy of this guide, subscribe to our club newsletter below. 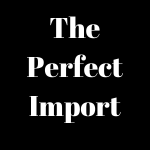 Have you had a previous import you want to submit a review on?? We want to collect both positive, and negative reviews on any members in our database so we can better serve all baseball organizations around the globe moving forward. Please take a few minutes to leave a review on a player or coach you have imported. The name of your club will be left confidential if a negative review is submitted.